On the edge of EMERGE 2012 – yes, slackers, your entries are due this week! – I can’t resist a trip back in time to the first iteration of this little competition / exhibition. 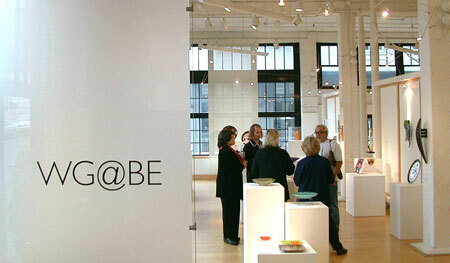 The exhibition was held at Bullseye’s original Pearl District Resource Center. It was also juried there once works had been received.